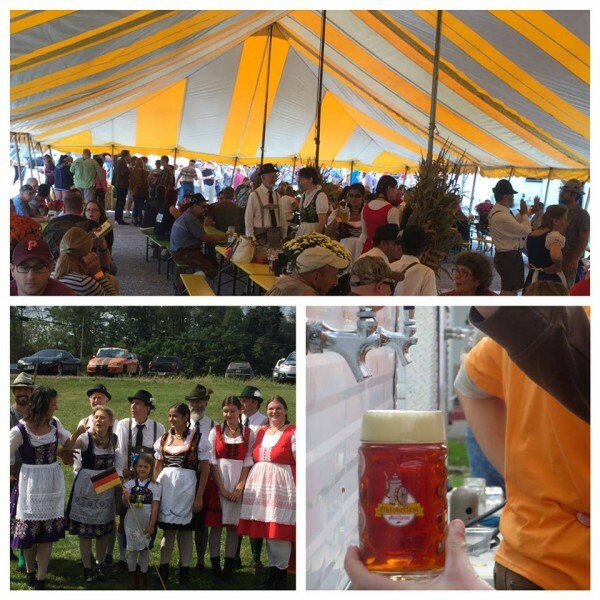 - It’s Oktoberfest time, and Elk Creek Cafe & Aleworks is holding the Millheim Oktoberfest Saturday from noon to 5:00 p.m. The event will feature German food, the Elk Creek fest brew, and music by Little German Band and the Pleasant Valley Dancers. All proceeds go to the Millheim Fire Company. - Tonight, head out to the Mt. Nittany Vineyard and Winery for Glass Painting Uncorked from 7:00 p.m. to 9:00 p.m., an event where you can learn the art of wine glass painting. The cost for the event is $35 and that gets you two glasses to paint, all art supplies, instruction by art teacher Nancy Alpago, a complimentary wine tasting, and a glass of wine. Reservations are required and space is limited. Call the winery at (814) 466-6373. A credit card will hold your reservation. - It’s officially autumn now, and Tait Farm Foods is celebrating by hosting “Favorite Fall Foods and Cocktails” Saturday from 2:00 p.m. to 4:00 p.m. at the farm. Mixologist Brandon Wagner from Big Spring Spirits will be on hand mixing up some very nice fall cocktails, including some featuring Tait Farms very tasty new pear shrub. - The annual Milesburg Museum Apple Harvest Festival and Car Show will take place Saturday, September 24 on Market Street in Milesburg. The event kicks off with an outdoor breakfast at 8:00 a.m. Registration for the car show will be accepted until noon, with judging to begin at 12:30 p.m. Homemade apple dumplings, baked goods, soups, and a food stand will be available. There will be musical entertainment during the day, and awards following the judging.